NOTE: This content is old - Published: Sunday, Jun 19th, 2016. Council tenants are being invited to have their say on extensive new design proposals for their housing estate. 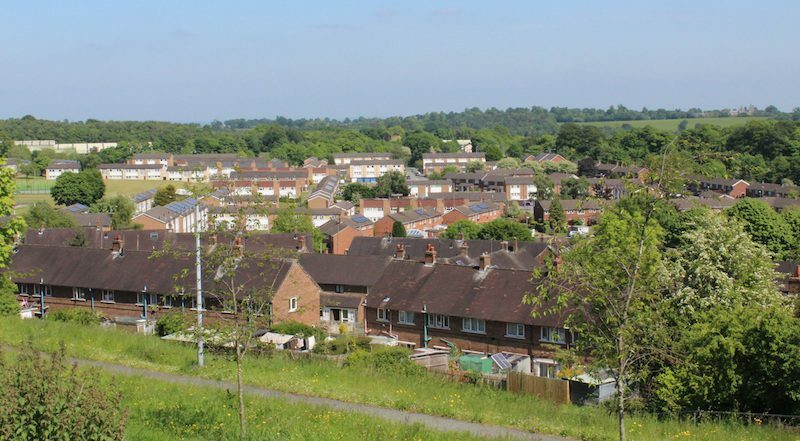 Wrexham Council is planning to carry out major improvement works on the Plas Madoc housing estate as part of an extensive project to ensure that all the Council’s housing properties achieve the Welsh Government’s Welsh Housing Quality Standard by 2020. A total of 400 of the estate’s Cubbit (steel framed) properties are due to receive External Wall Insulation on their outside walls and elevations. This will make the properties more efficient at holding in heat as well as improve their external appearance. – Opportunity for new build housing to be provided. Speaking about the proposals for the Plas Madoc area, Lead Member For Housing, Cllr Ian Roberts, said: “The upcoming improvement work planned for Plas Madoc has given us the opportunity to look at the estate as a whole and see where we can make changes which will benefit the environment and landscape of the area as well as the properties themselves. “We want the local community to engage with us as much as possible as these improvements are carried out. The open day events will be a great chance for tenants to see some of the plans and ideas being suggested. The proposed works at Plas Madoc come as part of Wrexham Council’s £54m investment into housing improvement works over the 2015/16 period. The works include a £7.5m Major Repairs Allowance Grant from the Welsh Assembly, to support the achievement of the Welsh Housing Quality Standard. New kitchens and bathrooms have already been installed in many properties on the estate as part of the improvement works and the first steps of the estate redesign were taken in April when the Council’s Executive Board approved the demolition of 22 three storey properties in the Peris and Gwynant areas of Plas Madoc. Demolition is due to take place towards the end of 2016.